Our product range includes a wide range of acoustic enclosure, acoustic test chamber, acoustic hoods, audiometric booth, room acoustics and industrial control enclosure. We are prominent name engaged in providing the best-in-class Acoustic Enclosure. 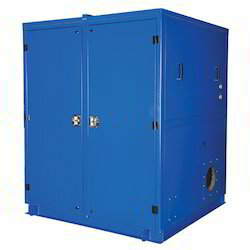 These enclosures are specifically designed for noise making machines. Made up of high-grade basic material and latest technology, these enclosures effectively reduce noise of machines without affecting their performance. Furthermore, to cater to the diversified demands of the clients, we offer these products in different sizes and specifications. our Acoustic Enclosure can be used for many machine or laboratories for testing. we use different acoustic material depending upon the required DB level of sound. our customize design make this product more user friendly. 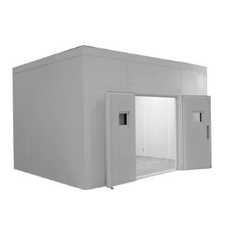 SRG provide our customers with qualitative Acoustic Test Chamber and sound Proof Driver Room. These rooms are specifically developed in line with the defined parameters of the industry. Consequently, thee rooms are ideal for carrying noise making activities. Furthermore, to meet variegated demands of the clients, we offer these products in different specifications. Sound proof Driver Room can be a good option for operates working in very noisily environment it is the best solution to reduce noise & it is all weather proof which make these cabin more usefull even for outside / open to sky area. We are offering significantly Acoustic Hoods for our valued clients. These hoods are manufactured by making use supreme quality iron and other basic material and cutting edge technology. The offered products are deigned while keeping mind prevailing market demands so as to meet expectations of the clients. Furthermore, these hoods are available with us in different sizes to meet diversified demands of the clients. We also offer Audiometric Booth for noise generating machines and products are designed with perfection and accuracy to each and every intricate detail. Even the minutest of specification is paid due attention while manufacturing the Acoustic Enclosures so that the flawless product can easily be provided to the client. Our Heavy Machine Acoustic Enclosures are designed in modular panel form for all types of industrial machinery and processes, incorporating inspection panels, windows and doors as required for easy access and periodic maintenance. We provide Room Acoustics for audiology/ psychological/ behavioral research. Soundproof test rooms, audiology and hearing test booths are made of pre- fabricated, double-functional acoustic panels, each providing sound insulation and attenuated interior acoustics. Due to panel absorbing acoustics with absorbers and reflectors in angular arrangement a smooth, linear response and controlled reverberation time are guaranteed. Different booth types are offered subject to the application. We design, manufacture and supply a range of Acoustic Hoods that find application in industrial, military, educational, governmental and medical applications. These acoustic booths are are made of pre-fabricated, double-functional acoustic panels, each providing sound insulation and attenuated interior acoustics. Our range includes Acoustic Booth for Audio metric screening, acoustic booth for educational learning, acoustic booth for audiology/ psychological/ behavioural research, acoustic booth for music practice & recording, studio acoustic and others. Further, we also offer after sale services for these acoustic booths. 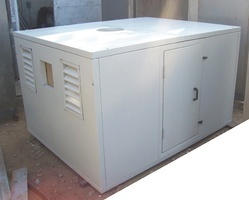 We provide Industrial Control Enclosure. These are designed to control noise levels of engine driven sets, compressor, and pump systems.